Miscommunication or a total lack of communication has been a large part of my life, especially when it comes to relationships. All it would take was one person to hold something in and there would be a domino effect and we would end up rowing over something that didn't actually make any sense because a vital piece of info was missing. Have you ever had that? You argue for hours and hours and hours and then suddenly, something brand new gets said and you find yourself saying "If only you'd said that at the beginning...!". Nowadays, I make a point of taking a moment, gathering my thoughts and then saying how I feel and/or what I want. Taking that slightly scary leap is better than the agitation it could cause later on and things get resolved in a fraction of the time. Whilst we're on the subject of relationships and communication, I think The Addams Family taught me a lot about what it takes to have a healthy relationship...strangely. 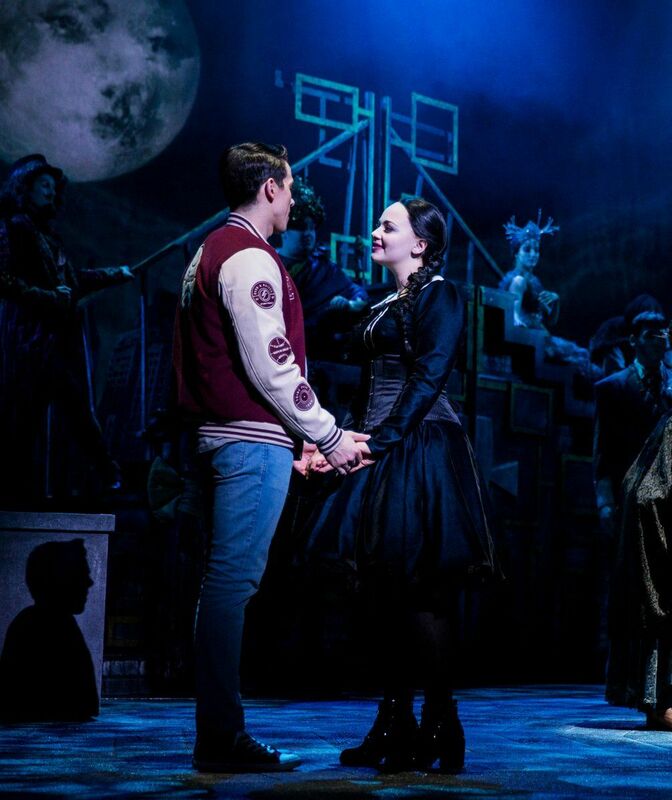 Whilst the Addams' are creepy and kooky, they're a loving family built on honesty and trust. Gomez and Morticia have never kept anything from each other but within the show, Wednesday asks Gomez to keep her engagement to her boyfriend, Lucas, a secret. Throughout the show, we slowly watch the family unravel because of this one simple "disclosure". It's a slight exaggeration of course but it really does emphasise the importance of honesty and communication and how vital it is to keeping a relationship alive. On a more important note, if you say it at the beginning, when it's new and ripe, it spends less time taking up space in your head. If you leave it there, it starts to fester and rot and it'll eat away at all your happy thoughts. Often, it becomes poisonous and infects the way you treat people because it's now lost inside you and can't find a healthy way out. For the sake of your own sanity, and the heads of others that you may bite off as a result, talk. Say things when it matters to say things. When someone gives you the opportunity to say things, take it or make your own opportunity to say things because saying things is never the issue. It's when you don't say things that it is. Use your words. Be respectful. Explain how you feel. Be empathetic. Talk to each other. Absolutely! I'm 24 and I'm starting to realise more and more the power of honesty. Most of the time it wont offend other people - they will probably be grateful you cut to the chase and weren't hiding how you feel. Sometimes it's good to sugar coat a teensy bit, but otherwise saying 'this is how I feel' openly and honestly in work and in personal life often works out the best for everyone.